I am thrilled to announce that Kelly Meraw has been named Coordinator of Music, Liturgy and Pastoral Care for St. John the Evangelist Parish. As with all of the leadership positions within the collaborative, Kelly’s ministry will be a collaborative position but with her main focus on the St. John community. Kelly is no stranger to us. She has had a growing role within the music ministry team at St. John as a cantor and director of the choir. She has also been working with bereaved families in preparation for funeral liturgies and with couples preparing for marriage. In her new role, she will also oversee the entire music program at the parish. She is well qualified for the position with a Master of Music Degree from McGill University. And we know already how her angelic voice helps us to lift our hearts in prayer each week at Mass. Kelly has also felt called by God to a role in pastoral ministry for many years. Before her reception into the Catholic Church at St. Patrick’s Basilica in Montreal through the RCIA program, she contemplated a vocation as a Protestant minister. To that end, she also holds a degree from McGill in Religious Studies. She has long dreamed of bringing her ministerial skills and theological education to bear within her Catholic faith, which she so cherishes. She is most excited about her role as Coordinator of Pastoral Care at St. John. Kelly will oversee the development of adult education programs, ministry to families and will serve as liaison to the parish’s many ministries and commissions. She will also be responsible for the recruitment and training of lectors and Eucharistic Ministers. She will continue to broaden her theological education as she undertakes her new role. Kelly is a person of deep faith and I have no doubt that she will be a tremendous asset to our parish and collaborative as we all seek to deepen our relationship with Jesus Christ through prayer, service and education. 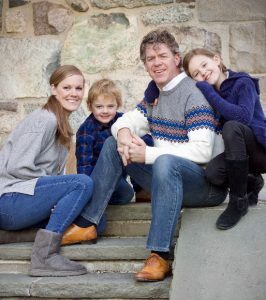 She and her husband Michael, along with their children Ava and Noah, have been deeply committed to the mission of St. John Parish for many years. How blessed are we that God has called Kelly from our own community to serve in this newly created and important ministerial role. Let’s extend a warm welcome to the newest member of our staff! 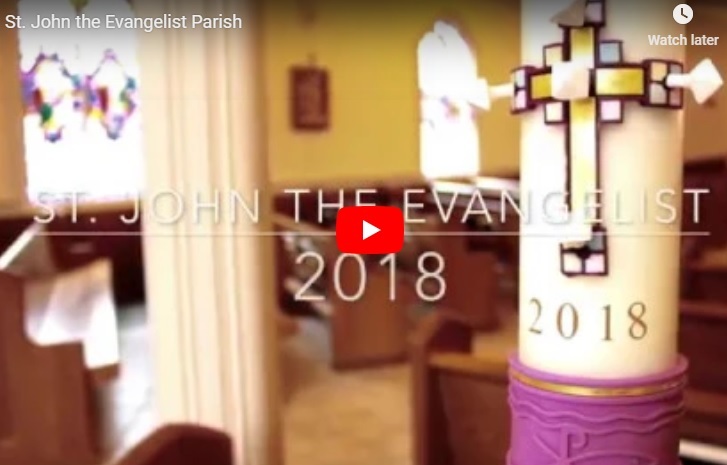 This entry was posted in Adult Faith Formation, Important Announcements, Music, Service Commission, SJSP Collaborative. Bookmark the permalink.